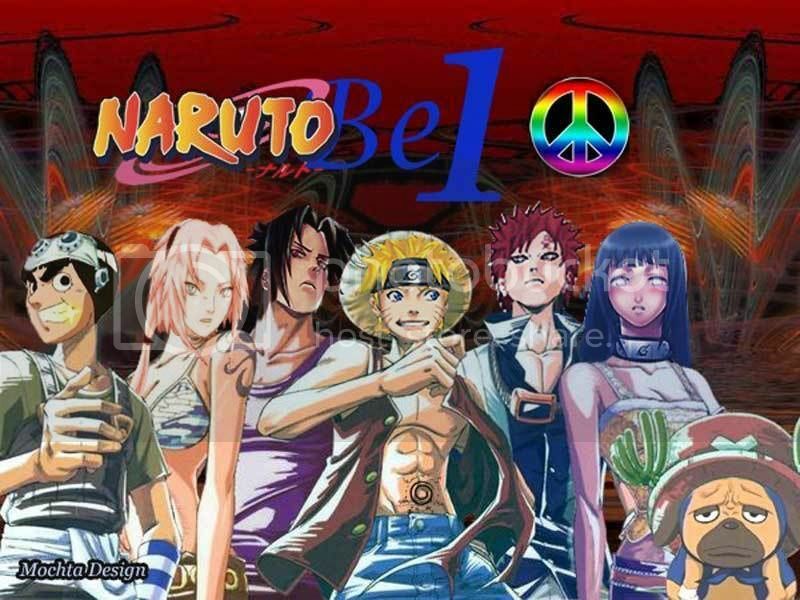 Description : Not to be a real one piece, Naruto and others just wear their (One Piece's Crew) clothes and act like them. You could see Naruto act as Monkey D. Luffy, Sasuke as Roronoa Zolo, Sakura as Nami, Rock Lee as Usopp, Gaara as Sanji, Hinata as Nico Robin and Pakkun as Tony Tony Chopper. Ha..ha..that was so funny but.. very great art. Very nice, even they were released on different Anime but their characters were so similar. Naruto stupid, funny but to help his friend he could be so stronger, just like Monkey D. Luffy, right? Sasuke also has same characters with Roronoa Zolo and Sakura, don't ask me if Sakura and Nami were angry, even Naruto and Monkey D. Luffy would can't do anything. How about Gaara, Hinata and Pakkun? I'm sure you has been known the answer. Naruto and One piece also the most popular anime in the world.